For more than 40 years, the Jewish Federation has made it possible for Houston families with financial needs to provide an intensive Jewish educational summer experience for their children by providing financial assistance for camp and Israel scholarships. Scholarship applications are accepted beginning January 1 and are reviewed monthly. All scholarships are need-based. Houston families flooded by Hurricane Harvey can apply for financial camp assistance by filling out the need-based overnight Camp or Israel Trip scholarship applications. The Federation also supports the efforts of our educators who work in our Judaic-centered schools across Houston. Click Here for more information or contact Liz Garza via (713) 729-7000 x309. Jet Scholarship Information: If you are a Houston Jewish resident between the ages of 21-29 you may apply for funding to participate in a short Jewish educational experiential trip sponsored by a Jewish agency. *The Jewish Federation of Greater Houston funds programs and organizations that benefit individuals and families regardless of their religion. However, when financial aid is provided from the Jewish Federation of Greater Houston on behalf of a specific individual, the individual must be Jewish. This financial aid requirement is to honor the intent and expectation of the Federation’s donors with regard to these particular financial aid programs. 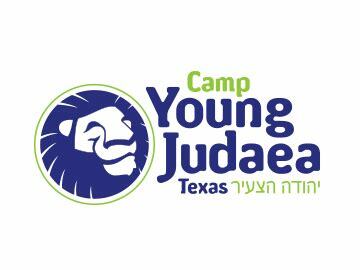 For more information about Camp Young Judaea and Greene Family Camp, click either of the links below to see how you can enroll your child.